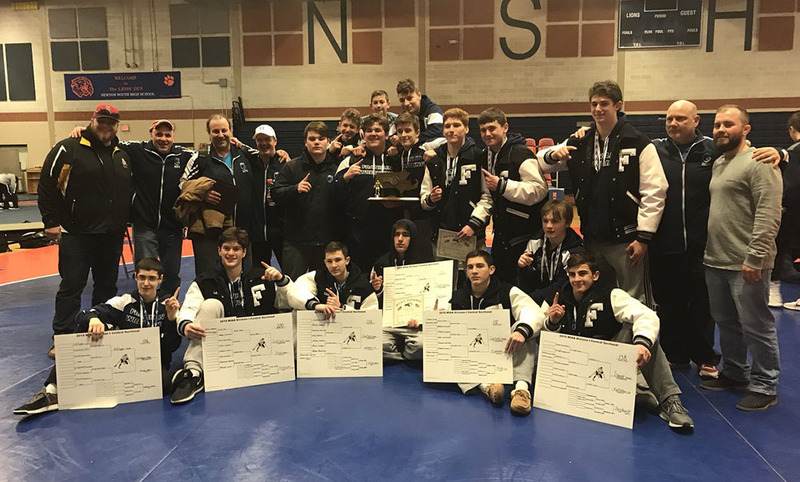 For the first time in eight years, the Hockomock League had a wrestler bring home an individual title at the New England Championships when Mansfield’s Jayden Curley took first at 170 pounds. The wait for the next New England champ was much shorter, as North Attleboro’s Matuesz Kudra followed about an hour later with a title of his own at 285. 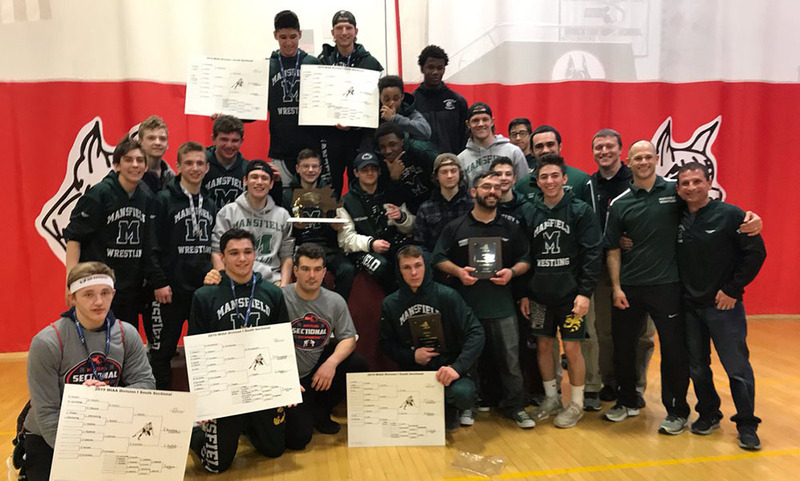 Both wrestlers earned the first New England titles in their respective program’s history and both followed up wins from the week before at the All-State Meet at St. John’s Prep in Danvers. When Curley and Kudra were asked how it felt to close out their high school careers with New England championships, both used the same word: overwhelming. 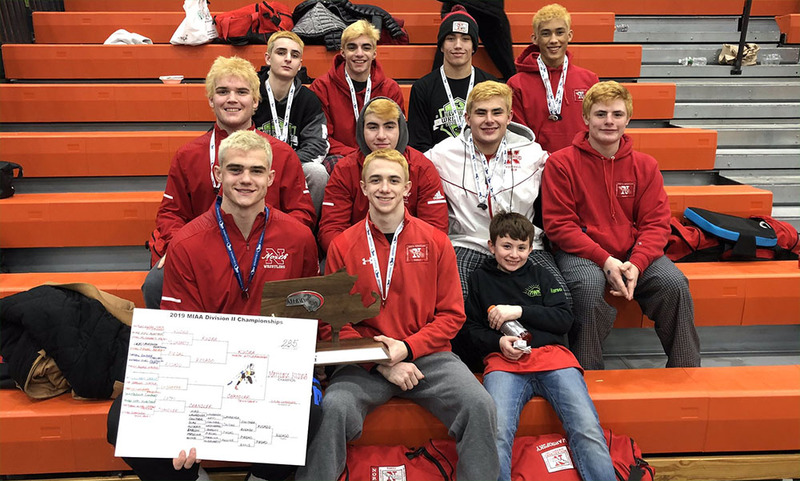 While each of the wrestlers was focused on the moment and their individual matches, they acknowledged that they were aware of each other’s success and were rooting for their Hock competitor. “That was definitely some added motivation because I didn’t want Mateusz to be alone out there,” Curley said. The win at New Englands capped a perfect 51-0 season for Kudra, who was also North’s first all-state champ and its first Div. I college recruit. 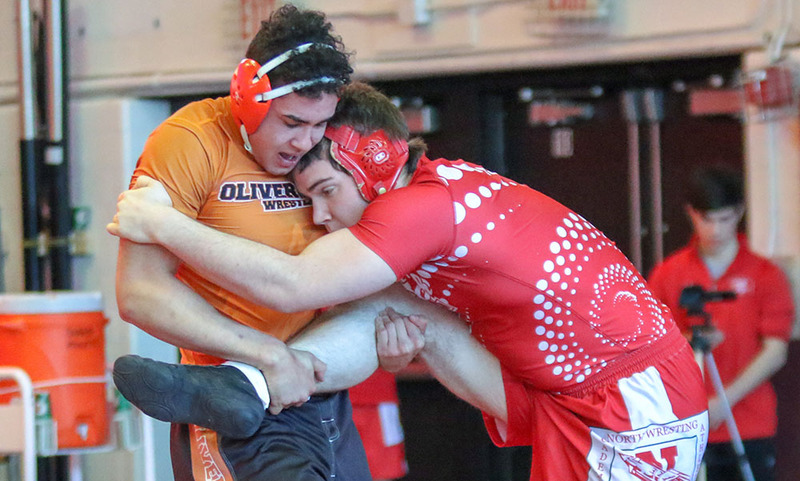 The University of Virginia-commit finished third in states and sixth in New England last season, wrestling at 220 pounds, and it inspired him to push for even more this winter. With a new off-season regimen, Kudra, who only started wrestling his freshman year of high school and didn’t wrestle varsity until he was a sophomore, had a string of solid results i tournaments against other DI recruits. That included a third-place finish at the prestigious Super 32 Challenge. He also moved up a weight class, but without losing the speed and athleticism that he had at 220 pounds and the techniques he learned starting out in middleweights. After dominating throughout the season, helping the Rocketeers retain the Davenport dual meet title in the process, Kudra came into the postseason on a mission. He didn’t allow a point in his four matches at Div. 2 states, reaching the final with three pins, and continued that at all-states, not allowing a point until the third period of the final. At New Englands, Kudra won 4-0 to get things started and then 7-1 in the quarterfinal. He got a first round pin in the semifinal and then jumped out to a 5-1 lead in the final against David Gross of Bucksport (Maine), holding on for a 5-4 victory. 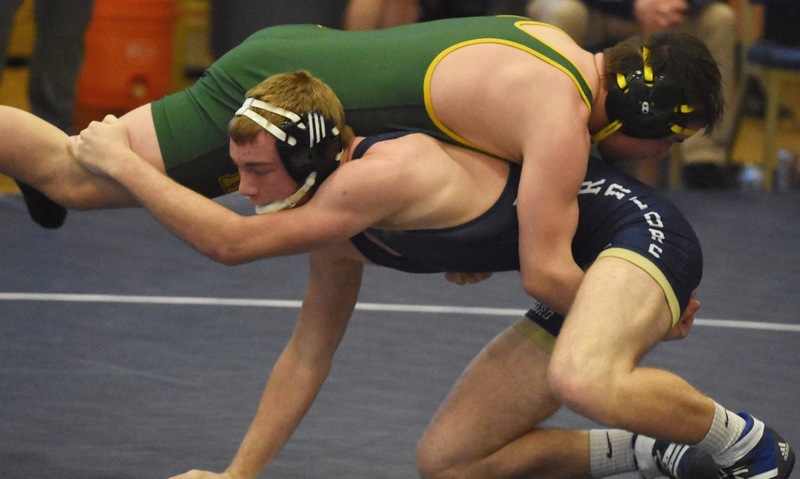 Curley, who is considering several DI college programs, also had a dominant regular season, helping the Hornets claim the program’s first-ever league dual meet title. After losing to Springfield Central’s Dohnivin Harvey in the semifinals of Div. 1 states, Curley refocused on the technique ahead of all-states. That loss was a reminder of what he needed to do on the mat to reach his ultimate goal. He won the first three matches at all-states by pin to set up a rematch with Harvey in the final. This time, the result was never in doubt. Curley jumped out to a 7-0 lead and responded to a Harvey takedown in the third period by rolling off five straight points for a major decision victory to become just the second Mansfield wrestler to win an all-state title (Jim Connors won at 285 in 2005). That momentum carried over to New Englands. He won the first match 13-3 and pinned his next two opponents to reach the final. He wouldn’t get a rubber match against Harvey, who lost in the semifinal, but he jumped out to a 6-1 lead against Ben Dougherty of Chariho (R.I.) and took the title with a 7-5 decision. 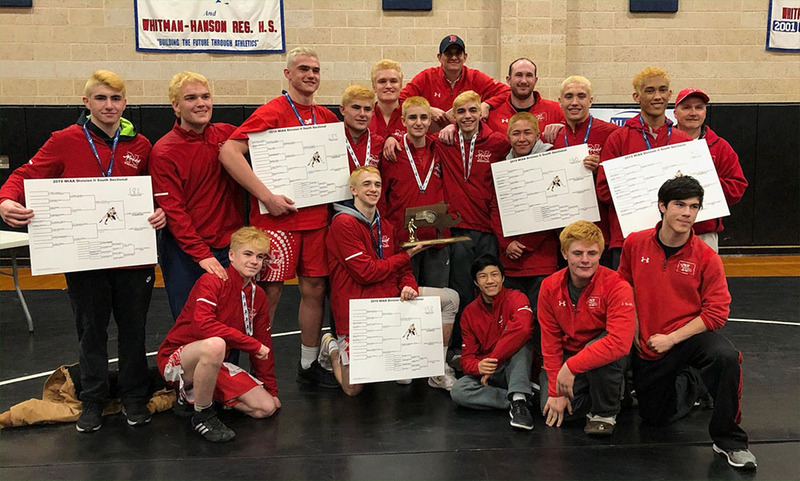 Both Curley and Kudra made history for their programs and both can now be considered among the best to ever take the mat at Mansfield and North Attleboro. 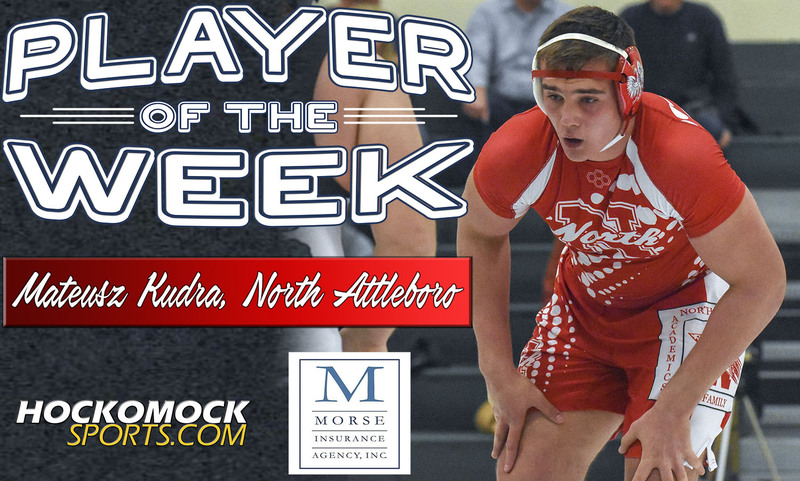 North Attleboro senior Mateusz Kudra has been selected as the HockomockSports.com Player of the Week, presented by Morse Insurance, for Feb. 10 through Feb. 16. Kudra is the 20th player chosen as Player of the Week for the 2018-19 school year and the 10th player in the winter season. Kudra, a University of Virginia-commit, continued his unbeaten season by winning the Div. 3 state title at 285 pounds at this weekend’s state meet at Beverly High. Coming into the tournament as the top seed, Kudra won all four of his matches and didn’t allow any of his opponents to score a point against him. With Kudra winning his individual title, North finished second as a team, scoring 104.5 points, behind only Central Catholic. Kudra reached the final on the back of three straight pins, with only one of the first three matches lasting beyond the first period. In the final against his opponent from Tewksbury, Kudra scored five points in the second period and that turned out to be all the scoring, as he took a 5-0 decision to win the state title. His record improved to 42-0 on the season. This weekend, Kudra and North will head to the all-state tournament at St. John’s Prep. 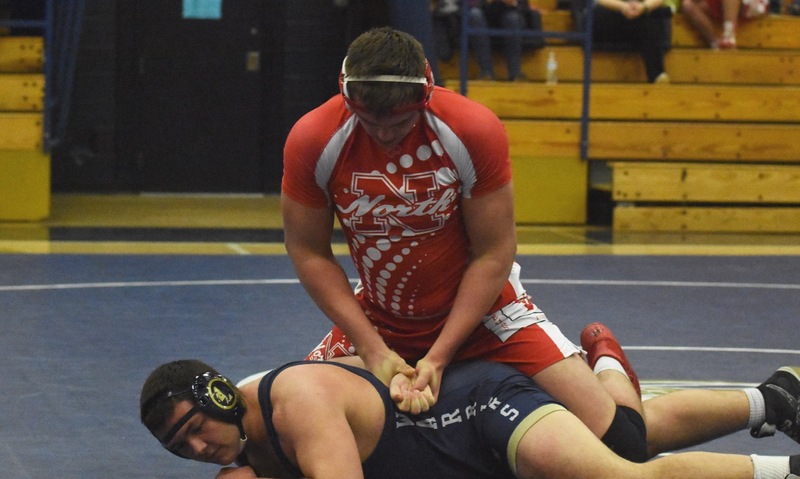 Last year, wrestling at 220 pounds, Kudra placed third at all-states, and then went on to finish sixth overall at the New England championships. 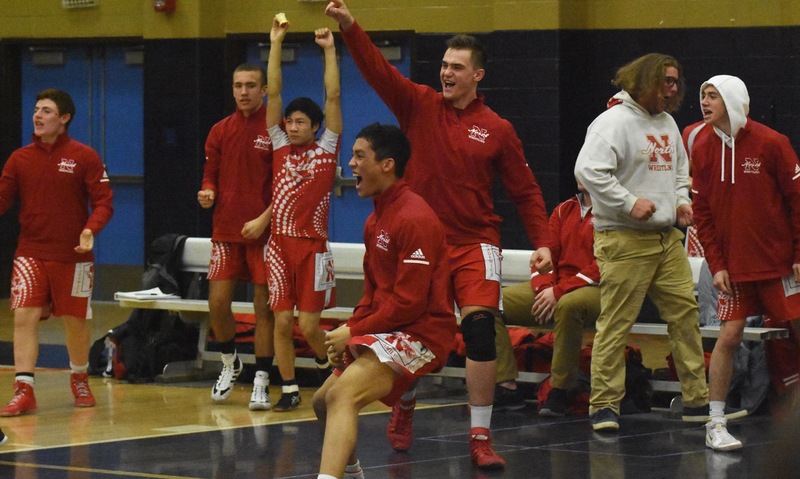 Click here for a Photo Gallery from Foxboro vs. North Attleboro wrestling at Foxboro High, 1-30-19. Click here for a Photo Gallery from the Hockomock Super Quad at Foxboro High, 1-26-19.